Even before Speros joined Citizens Bank as a Licensed Relationship Banker, he knew he had a knack for finance and money management. “Since I was a young kid I was taught the importance of budgeting and being financially competent. When I was pursuing a job, it seemed like a natural choice to go into banking because I was able to use my skills to help others define their financial goals,” says Speros. 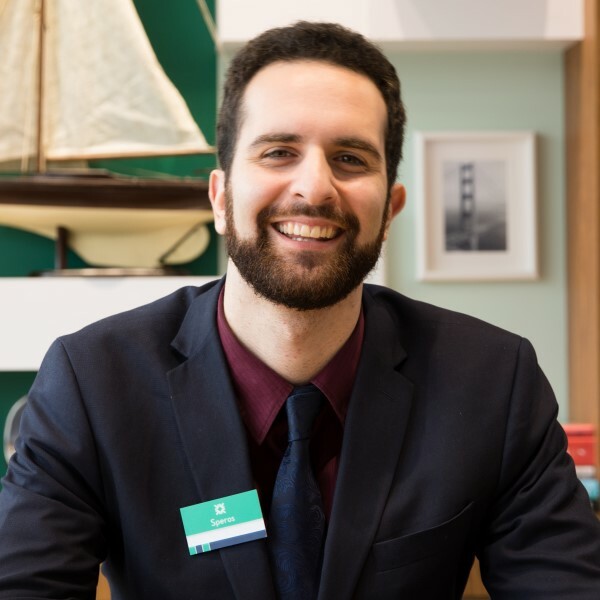 Speros loves working at Citizens because it is a “big bank with that small bank feel.” “Citizens has this very friendly rapport within the communities they work that I love. Customers have been with us for so long that they really trust the bank. As a result, they are willing to increase their share of wallet with us, which of course makes my job easier,” observes a smiling Speros. Learn more about a promising career as a Licensed Relationship Banker.